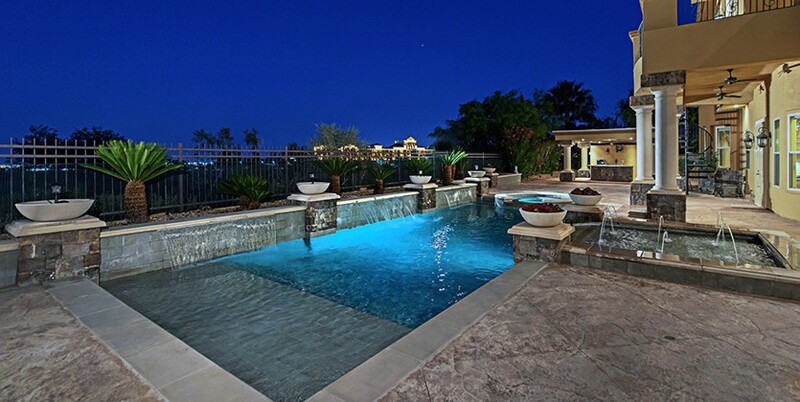 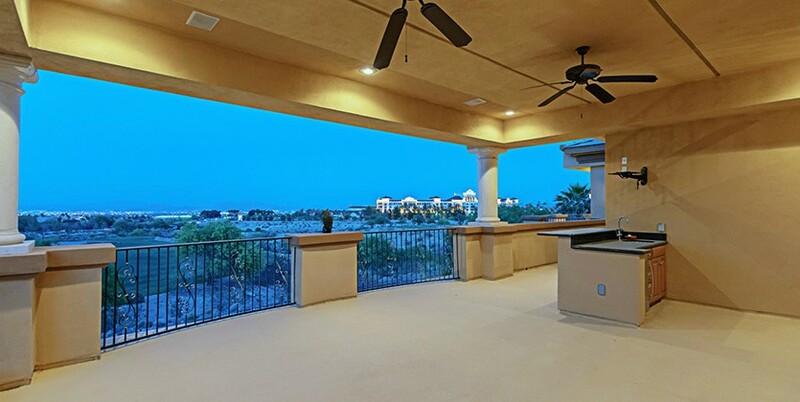 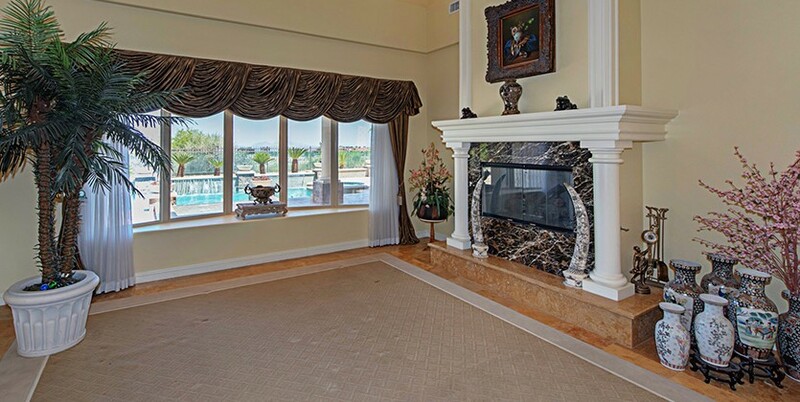 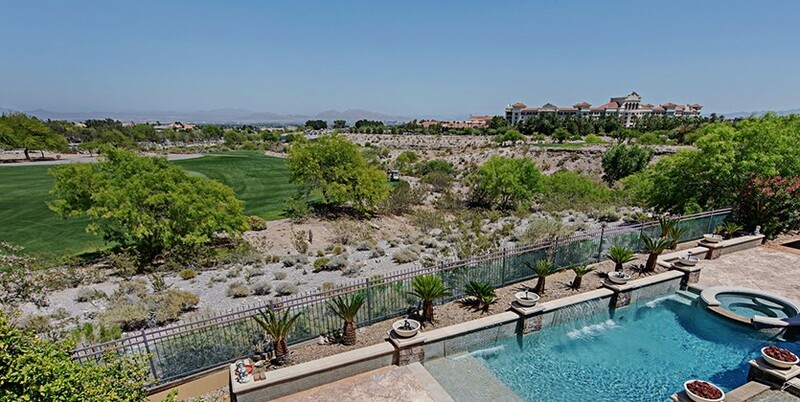 An incredible luxury estate home with amazing golf, Strip and mountain views! 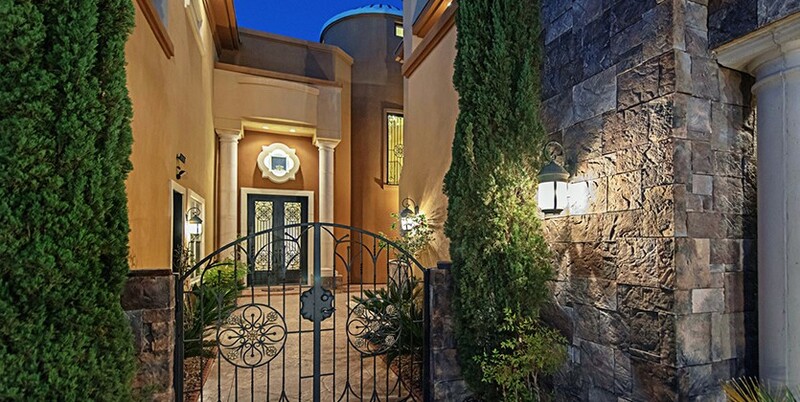 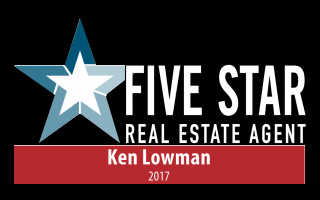 Gorgeous curb appeal with stamped concrete, stone accents, beautifully landscaped grounds and a gated courtyard entry with a fireplace and water feature. 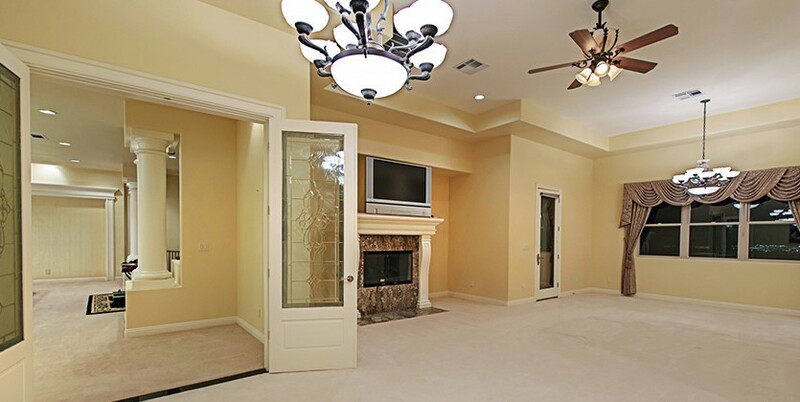 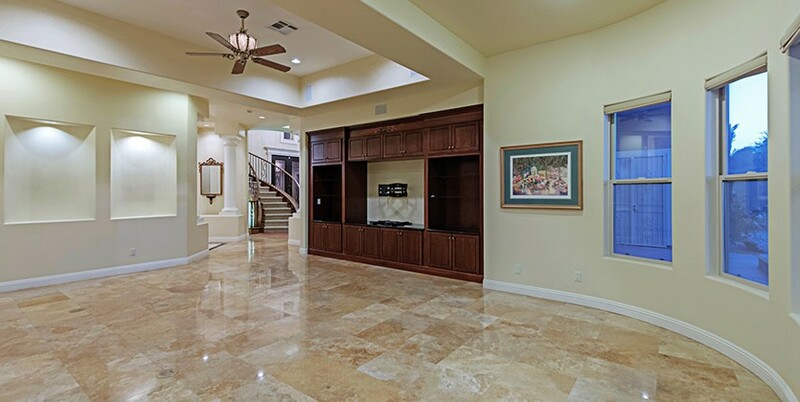 The grand entry is simply magnificent with majestic vaulted ceilings, a sweeping staircase and views through the sunken formal living room right through to the backyard and golf views beyond! 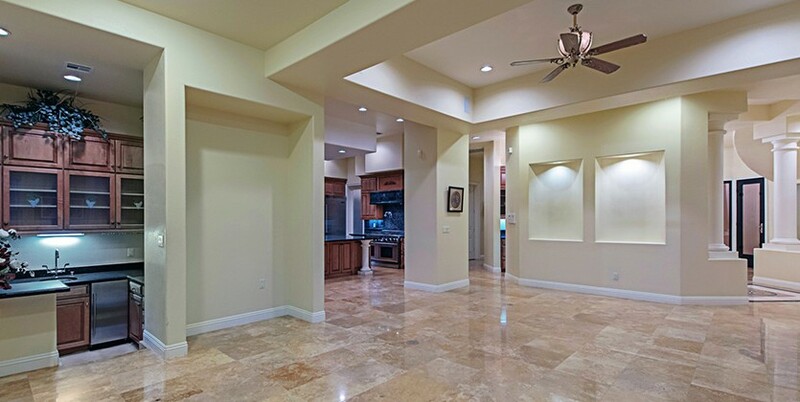 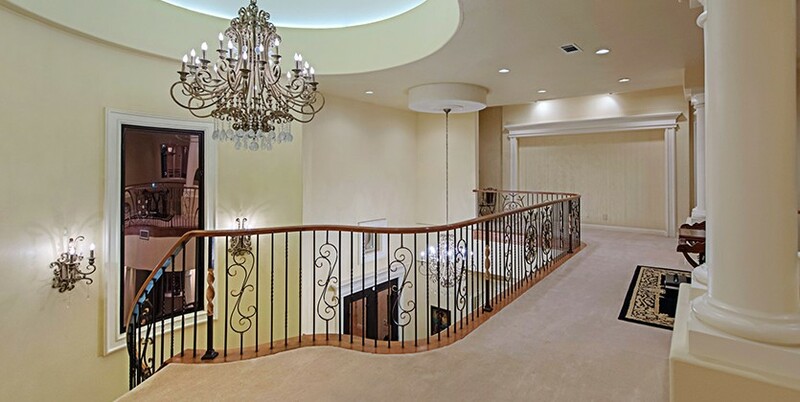 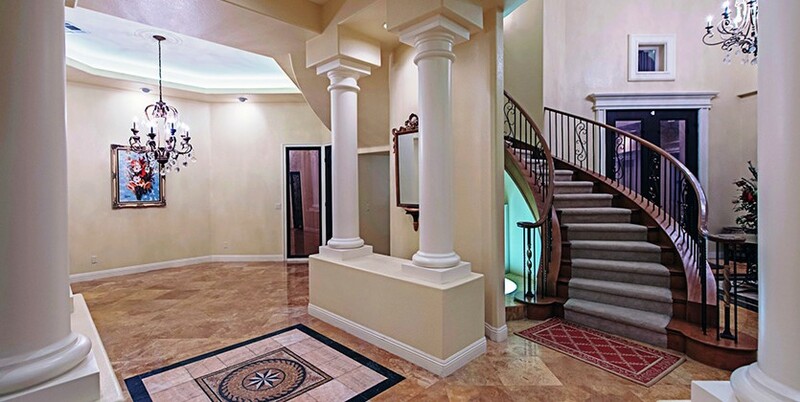 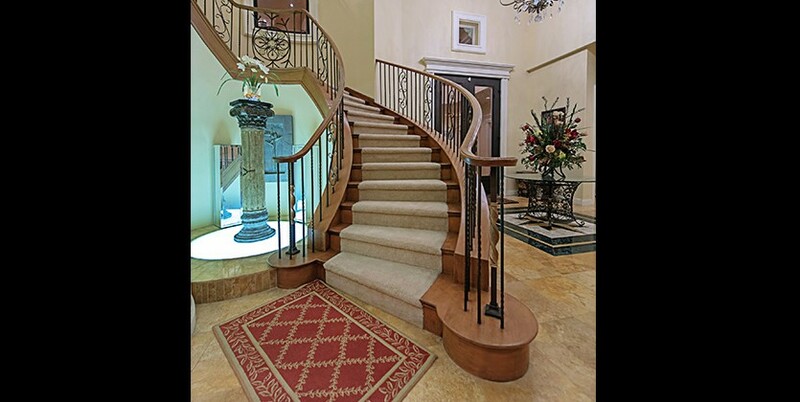 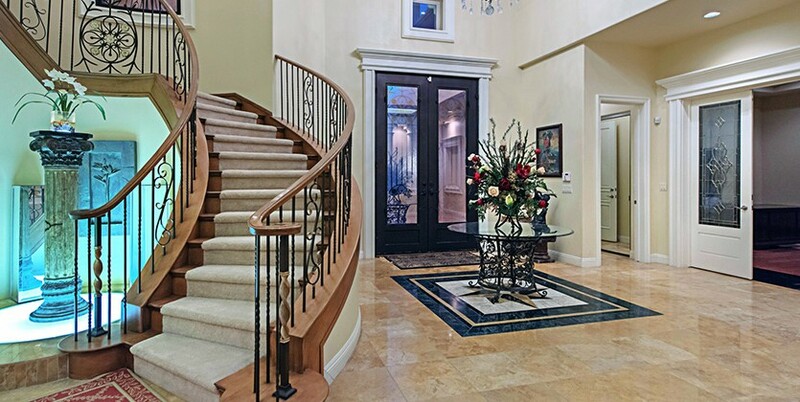 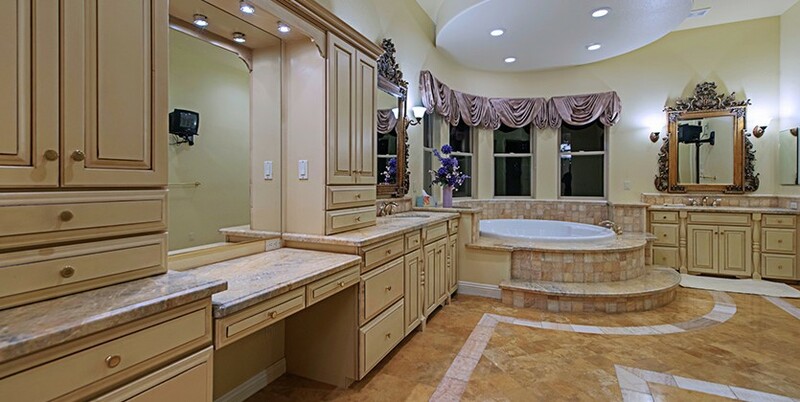 This spectacular luxury Las Vegas home boasts 8,541 square feet, marble flooring, an elevator, an office, a massive family room with a wet bar, 8 bathrooms and 7 bedrooms; two of which are full master retreats. 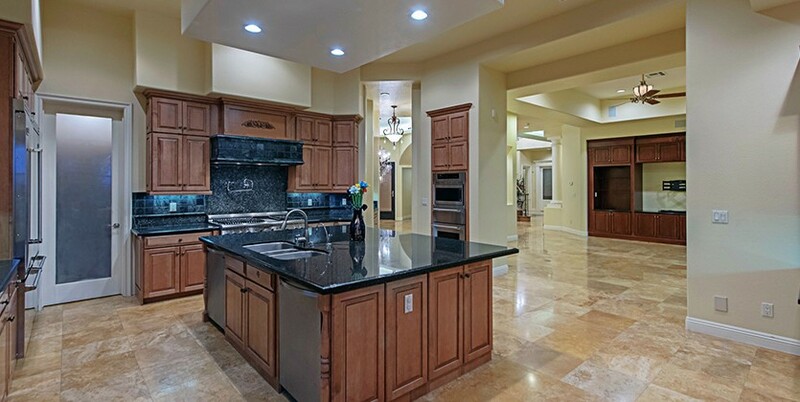 The massive gourmet kitchen is equipped with a large center island, Thermador and Viking stainless steel appliances, a butler’s pantry and rich granite. 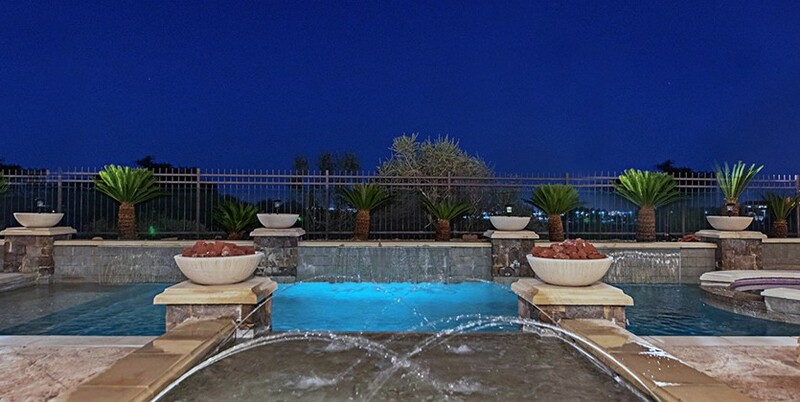 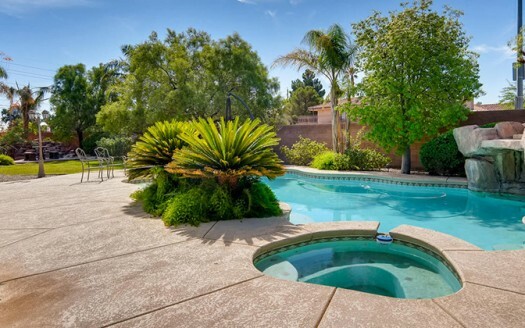 The entertaining backyard provides endless opportunities to bond with family and friends with a refreshing swimming pool, spa, water features, cabana, outdoor kitchen, fire pots and dazzling views! 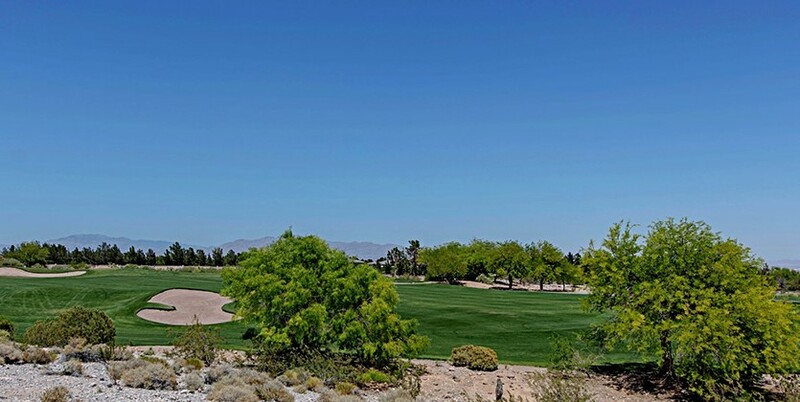 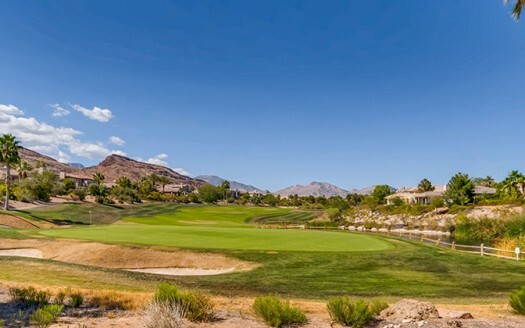 Canyon Fairways is a guard gated community in Summerlin Las Vegas with amazing custom homes, tennis courts, 3 parks, basketball court, several surrounding golf courses and is just blocks from JW Marriott Resort and Rampart Casino!